Cosmos Heating & Cooling serves residential, commercial and industrial customers backed with over 30 Years of experience, serving the entire Washington D.C Metro area, Northern Virginia, and most of Maryland. We are a family and locally owned business. We believe that if the Customers are not satisfied, we will do our best to make that happen because we care! Call us once and you will never regret it! With over 50 years combined HVAC industry experience, Gus Christofi and his son George Christofi have seen virtually every type of repair problem imaginable. But the ones that trouble them the most are those that their clients could have fixed themselves in just minutes. 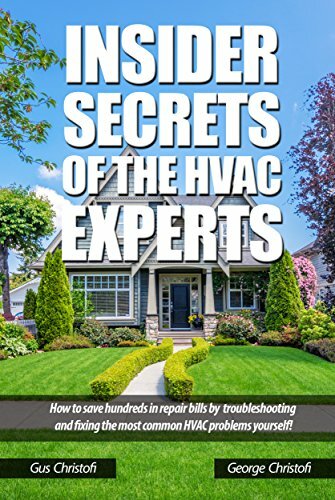 Simple problems they have seen over and over which homeowners could have identified and fixed quickly – IF they had the information in this book. Cosmos Heating & Cooling serves residential, commercial and industrial customers with emergency services. We are family and locally owned business. We have reference available. We are licensed and insured. We speak English as well as Greek and Spanish. An AC tune up is only $69.95 – 99.95! Schedule it today.